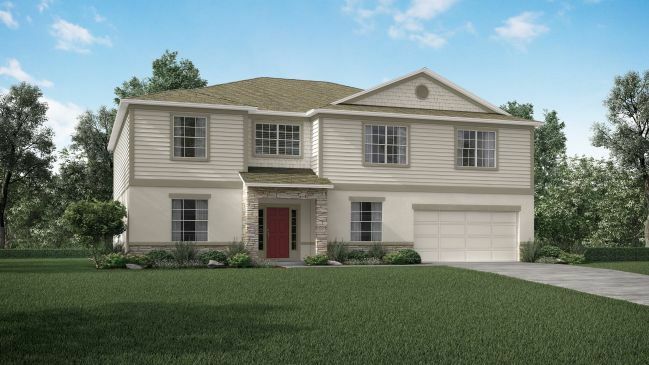 Marsh Pointe is our newest community located in the City of Clermont. These homes are one of a kind and present the most beautiful and functional attributes Maronda Homes can offer. Marsh Pointe is located minutes from fine shopping and dining establishments. Whether you are looking for a new home or a move-in ready home we are here every step of the way, leverage our knowledge and experience to learn more about building the home of your dreams in the beautiful Marsh Pointe neighborhood.The community and homesites make the most of natural conservation areas. Boaters, fishermen, and water lovers will appreciate the close proximity to the 11 nearby lakes, known as the Clermont Chain of Lakes. Golfers will love the many golf courses in the area. The main roads through Clermont consist of State Road 50 and U.S. Route 27.Nearby Attractions:-Lake Louisa State Park-Lakeridge Winery & Vineyards-Lake Minneola-Showcase of Citrus-4WD, ATV & Off-Road Tours (2)-Clermont's Historic Village-Presidents Hall of Fame-Florida Citrus TowerCommitment to QualityMaronda Homes has been a family-owned and operated business for over four decades and in that time we have dedicated ourselves to building quality new homes at an affordable price, with unparalleled attention to customer service.We are continuously striving to improve the home building process by modernizing floor plans and evolving homes designs with affordable luxury reaching every corner of our new homes. At Maronda Homes, we believe that quality is never a destination - it is a requirement.We hope our homes speak for themselves, but a house is only home when you can live your life in it and discover the world outside of it.